Radial tire has a ply rating of 10 and a 2,830-lb maximum load at 80 psi. 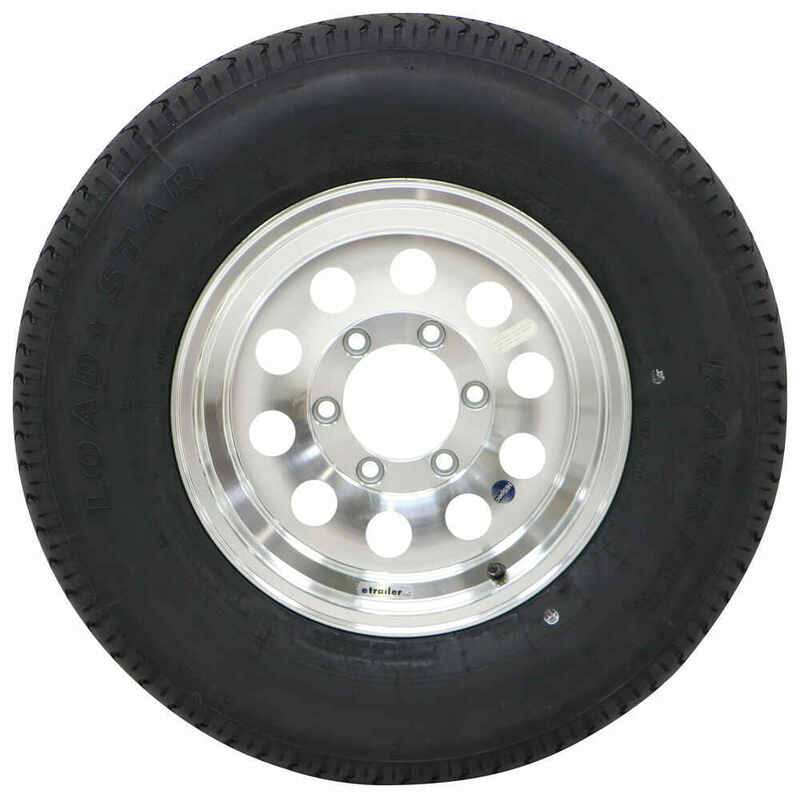 The 15" diameter x 6" wide Hi-Spec aluminum trailer wheel features a 6 on 5-1/2 bolt pattern and a corrosion-resistant clear coat finish. Lowest Prices for the best tires and wheels from Kenda. 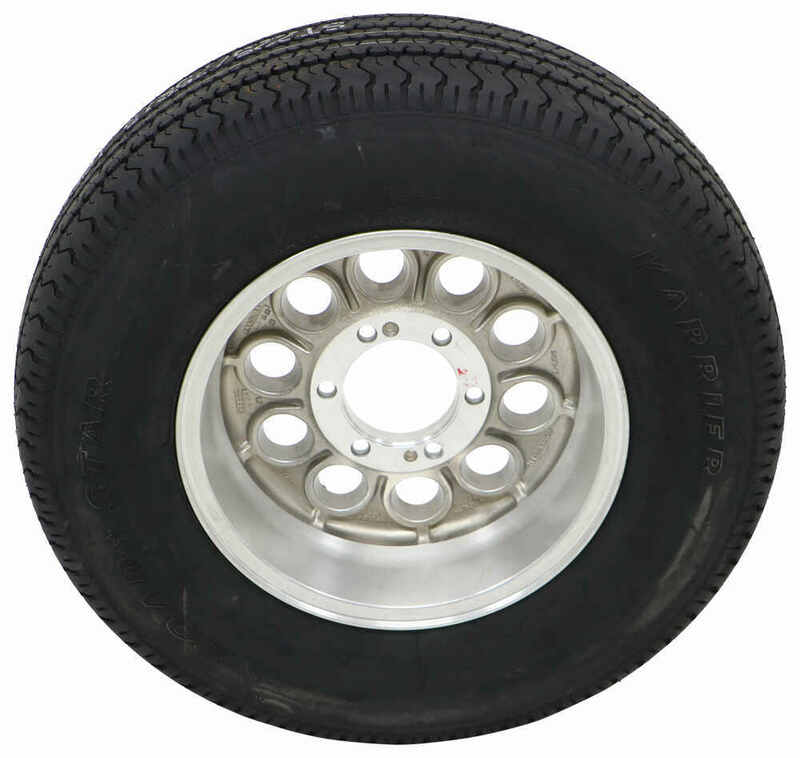 Karrier ST225/75R15 Radial Tire with 15" Hi-Spec Aluminum Wheel - 6 on 5-1/2" - LR E part number AM32684 can be ordered online at etrailer.com or call 800-298-8924 for expert service. Radial tire has a ply rating of 10 and a 2,830-lb maximum load at 80 psi. The 15" diameter x 6" wide Hi-Spec aluminum trailer wheel features a 6 on 5-1/2 bolt pattern and a corrosion-resistant clear coat finish. 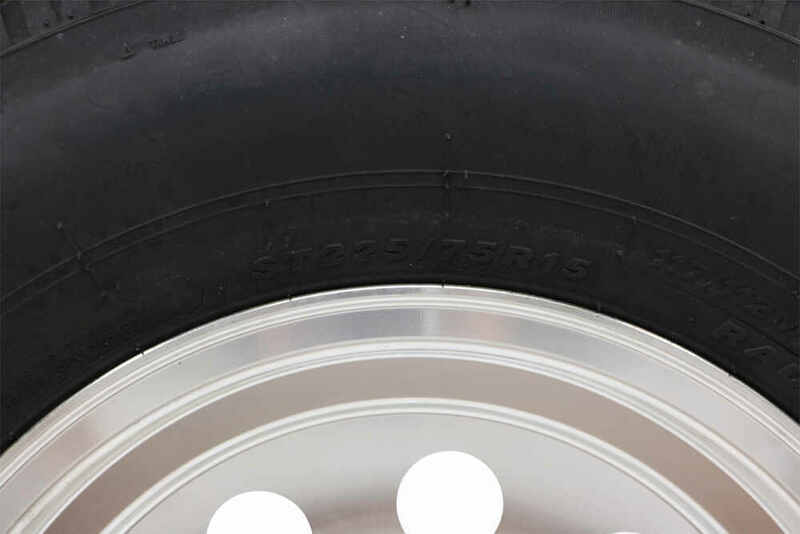 Outer diameter (when inflated): 28.4"
32684 Karrier Radial Tire with Hi-Spec Series 03 Aluminum Wheel - 15"
Radial special trailer tire has a ply rating of 10 and a 2,830-lb maximum load at 80 psi. Constructed of double steel belts and polyester cords with a nylon overlay. Fits 15" wheels and for highway use. 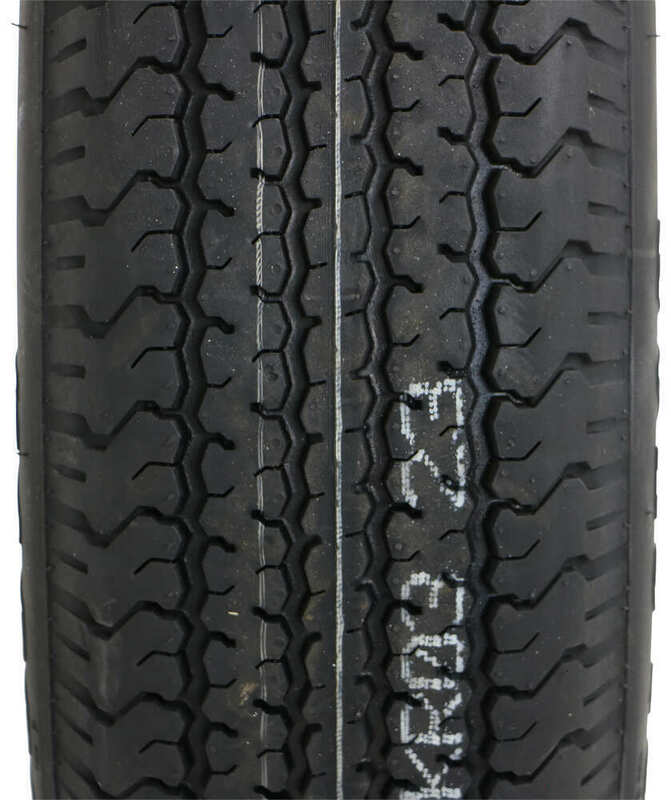 Today we're going to be taking a look at a Karrier ST22575R15 radial tire with the 15 inch Hi-Spec aluminum wheel. 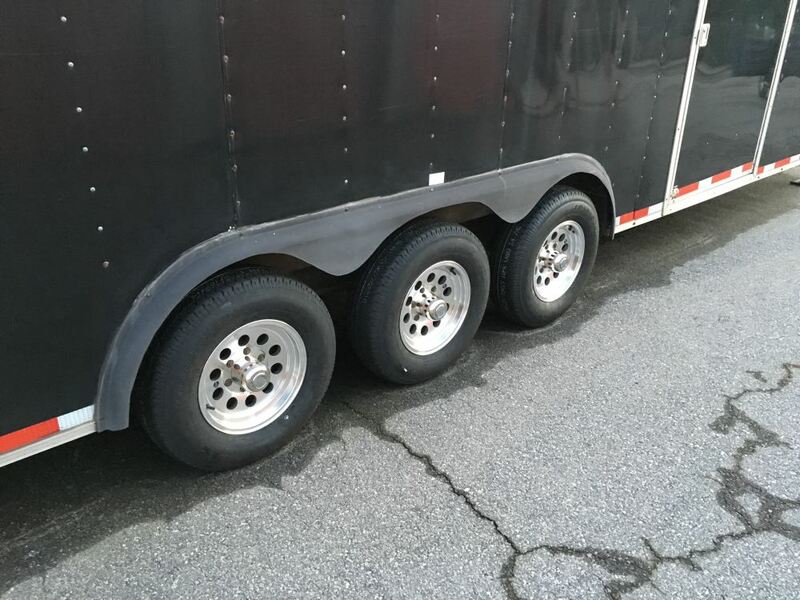 The Kenda Karrier special trailer tire couples the strength of a bias tire with the durability and stability of a radial tire. 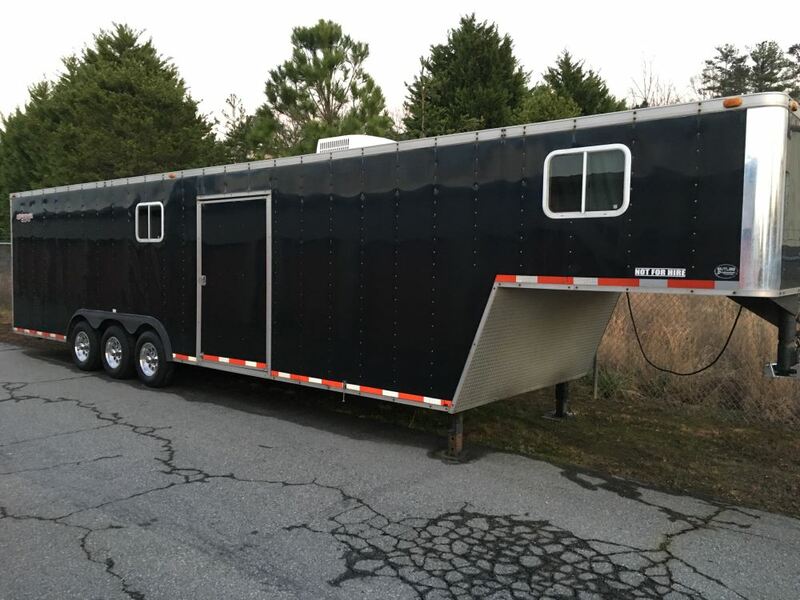 Now this assembly is created specifically for trailers. It's not intended to be used on other vehicles. It's going to feature double steel belts and full nylon plys that combine for superior function and long life. The tread design is a computer generated tread design. It's also going to feature premium rubber compound materials. The unit's designed to offer great traction in any condition whether wet or dry. Again it's going to have that Hi-Spec series 03 design of the wheel. It's very unique and appealing. The front and the back of the wheel are clear coated, it's going to be protected. It's also going to feature improved clamp force technology, that's going to help keep the wheel securely in place. A bullet proof joint is created between the wheel and the hub when properly installed. That way there's no need to re-torque after the initial installation. The tire and wheel assembly meets the Department of Transportation specifications. 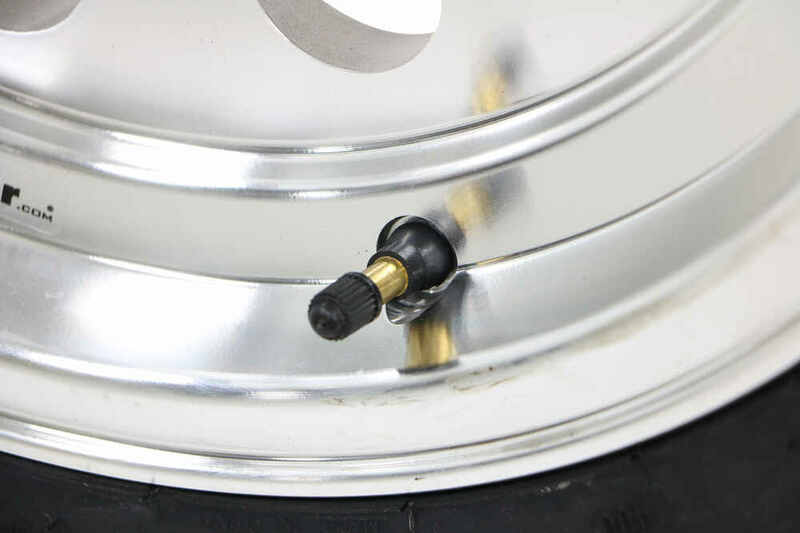 It does have the valve stem, that's constructed of steel reinforced rubber and rated for up to 100 psi. The rim dimensions, that's a 15 inch diameter rim by six inches wide. Bolt pattern is six on five and a half. What that means is we have six bolt holes. Since we have an even number, if you measure from the center of one directly across to the center of the other, that's going to give the five and a half inch measurement. Again the bolt pattern is six on five and a half inches. Also, want to point out that inside of those holes, we're going to have these inserts in there. When you're torquing this down, that's also going to offer protection to the aluminum wheel, making sure it doesn't receive any damage during the installation. Capacity on the wheel is 2,830 pounds. It's going to use a wheel bolt size is a half inch. Pilot hole diameter is 4.25 inches. Tire size is ST22575R15. Now if you look here at the tire size and then look at the load index, it's going to have a letter in there. That one is M, which stands for 81 miles per hour, that's our speed rating. Section width is 8.9 inches. Then the outer diameter when properly inflated is 28.4 inches. 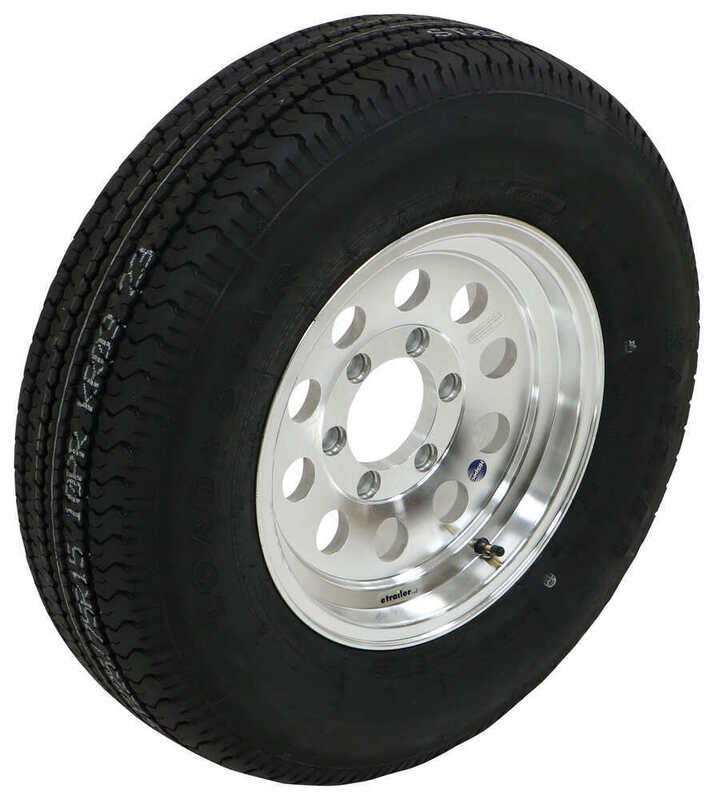 The tire capacity is a load range E, which gives it a 10 ply rating, maximum load is 2,830 pounds at 80 psi. That's going to do it for today's look at the Karrier ST22575R15. Order: RelevanceNewestRating - High to LowRating - Low to High Radial tire has a ply rating of 10 and a 2,830-lb maximum load at 80 psi. The 15" diameter x 6" wide Hi-Spec aluminum trailer wheel features a 6 on 5-1/2 bolt pattern and a corrosion-resistant clear coat finish. 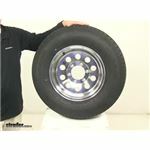 This spare tire and wheel is a great product at a competitive price and although I have not had a chance to use it, I am sure that it will fit the purpose just fine. We have these mounted on a small motorcycle trailer which only weighs about 250 lbs. 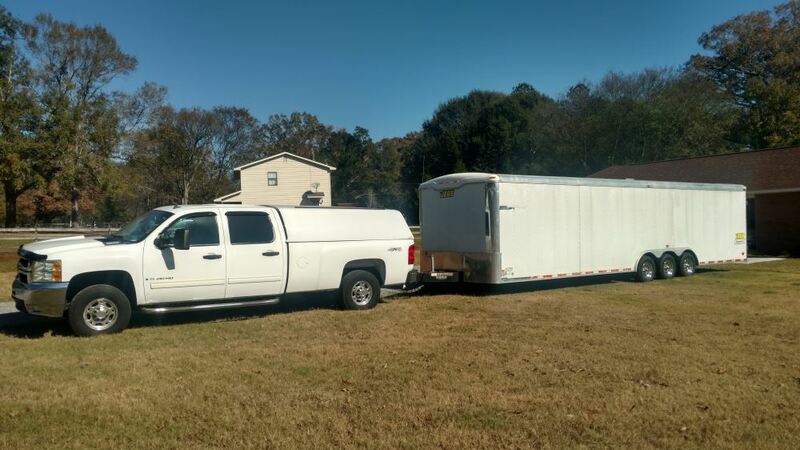 fully loaded.We have used them quite a bit,over 3000 miles on a single trip with no issues at all.I try to keep my speeds down when using the trailer but some times passing trucks and slower vehicles we have run up to 75 mph with no issues.I dont see any heat build up because the trailer is so light.It holds the road under all conditions with these tires.ETRAILER is a great company to work with as usual! The quality of the tire and wheel are excellent. Luckily I havent had to use the tire and wheel, but they are equivalent to my MasterCraft boat trailer in style and appearance. Great - Tires now have about 15k with zero issues.